As a prime manufacturer, exporter and supplier of various medical equipments, we are rigorously affianced in providing excellent qualityAlcohol Breath Analyzers with PrinterslikeAlcohol Breath Analyzer PT200P,Alcohol Breath Analyzer KT8300P, Alcohol Breath Analyzer AT8100, etc.The offered analyzers are used for analyzing alcohol content in breath in printed format. Having its applications in various hospitals, the provided analyzers are manufactured with the use of optimum quality components and the pioneering technology. 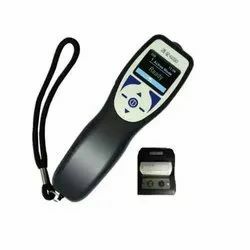 Moreover, clients can easily purchase theseAlcohol Breath Analyzers with Printersin different technical specifications at highly competitive prices from us. Large battery capacity, can testing for 8 hours. Test Mode For quick testing, automatic sampling. Measuring Time Adjustable( Minimum time: 1 second). Battery 1 rechargeable battery, 3.7V/3000mAh. Continuous Working Time More than 8 hours. Flashing Light 2 lights of 3W. Vibration Alarm When the concentration exceed the set point value, device will give Vibration. Dimensions L 324 mmX Outer Diameter 45 mm. High-performance processor with powerful processing power. Adopting a new generation of imported electrochemical sensors with features of high speed, high accuracy, good stability, use, long life, etc. Traffic batons and flashlights lighting functions make it easier for traffic police to enforce the law. 80,000 test records can be stored , and all records can be backed up to a back-end computer. Specially designed anti-back suction one-way blow pipe ensures the safety and health of the measurement process. Indication of the blowing process throughout the course, with the time and flow monitoring functions of insufflations, intuitive. Data can be print out using mini thermal /Dot matric printer. UK made Electrochemical/Fuel cell sensor with high reliability. Both screening and evidential mode one device. Unique trumpet type air inlet ensures accuracy. 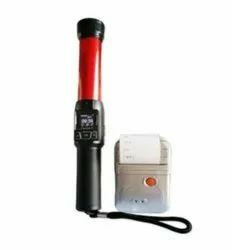 With Traffic baton and flashlight illumination function. Large battery capacity,can testing for 8 hours. 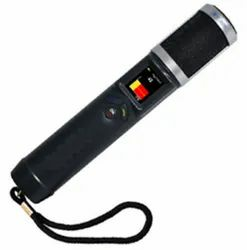 Production Description : Alcohol Breath Tester is commonly used by Police, Militry, Airport.This Device is use without mouthpieces for convenience. Units activated through a micro switch, after a brief internal self test; the test subject blows through the sensor and result are converted within few sec. Note : All Debit/Credit Card accept here for your handsome purchasing. 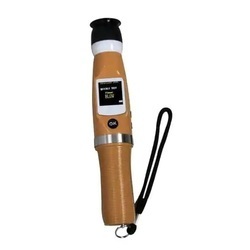 Professional analyzer of vapors of ethanol (breathalyzer) of FiT-031. Low power sampling system: Patented low power sampling system; 0.5W rating. Display range:0.00~2.0mg/l BAC or 0~4.0‰BAC;BAC or 0~0.4ºC. Dimensions L190mm* W61mm* H38mm . Passive and Active mode . Resultes review on the device . Data memory for 50,000 measurement . Sensor: Fast fuel cell . Measurement accuracy: 0-80mg/100ml; +5mg/100ml . Measurement time: > 10 seconds . Zeroing time: > 5 seconds . Blow volume: 1.0L or according to customer requirement . Data store: Up to 50000 measured value . Real time clock: yes . Battery Rechargeable: Li-ion battery / AA Alkaline batteries . Calibration: Every 6 months . Operation temperature: -5C to +50 C .
Storage temperature: -20C to +60C . Dimension: L190mm* W61mm* H38mm .